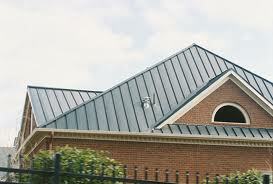 Metal roofing in Houston, a HOT topic. With the cost of energy constantly increasing, many individuals are searching for various ways to lower their energy usage. When the time comes for you to replace your roofing this will offer you another opportunity to lower your energy costs. When you start searching for these roofing solutions, emissivity and reflectivity some of the factors to consider. The definition of emissivity is the measurement of the amount of heat or cold air is radiated through the roofing material. Reflectivity is the amount of how much heat is reflected from your roof. Your number one goal should be to deter and prevent all damage from the outside weather conditions. The most reflective colored material that you can use on your roofing will be white. The only color that will reflect more than white is Galvalume. Its safe to say that the darker the color of the material used on your metal roofing, the less reflective that it will be. If you are searching for the best colors for your roofing, keep in mind that colors such as orange and tans will be more efficient than colors such as greens and browns. Some home owners do not pay attention to this aspect of their roofing repair because they do not understand how effective this can be. The more heat that is reflected from your roof, the less amount of heat allowed to radiate throughout your attic. When you are in the market for metal roofing in Houston there are a few guidelines to keep in mind so that you purchase the most ideal solution for your home. The initial solar reflectance of color that you select should be above .25. The ideal initial solar reflectance of color is about .50. You can locate these energy efficient solutions by using Internet resources such as energystar.gov. This is a great website to locate a large list of the best energy saving roof products. These list do not only discuss the actual products but also details on the coating type and color of the roofing product. If you are updating your roof and you live in warm climates, you should search for solutions based on emissivity levels. Another great tip to remember when searching for metal roofing Houston solutions is to choose a product that will sit on top of the deck. Some of the most popular examples of these types of products are corrugated panels or standing seams that have offset clips. One great addition that will deter moisture from collecting and prove to be an energy efficient solution is an effective ridge. Soffit venting is another solution that offers the same value as an effective ridge. 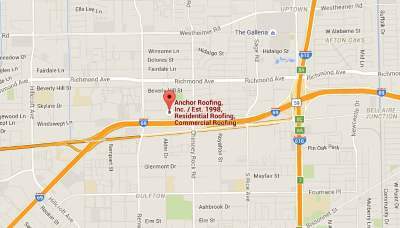 Keep checking in for more information on roof repair Houston.